EVOLUTION: Hand gestures grew out of the hind brain in fishes! 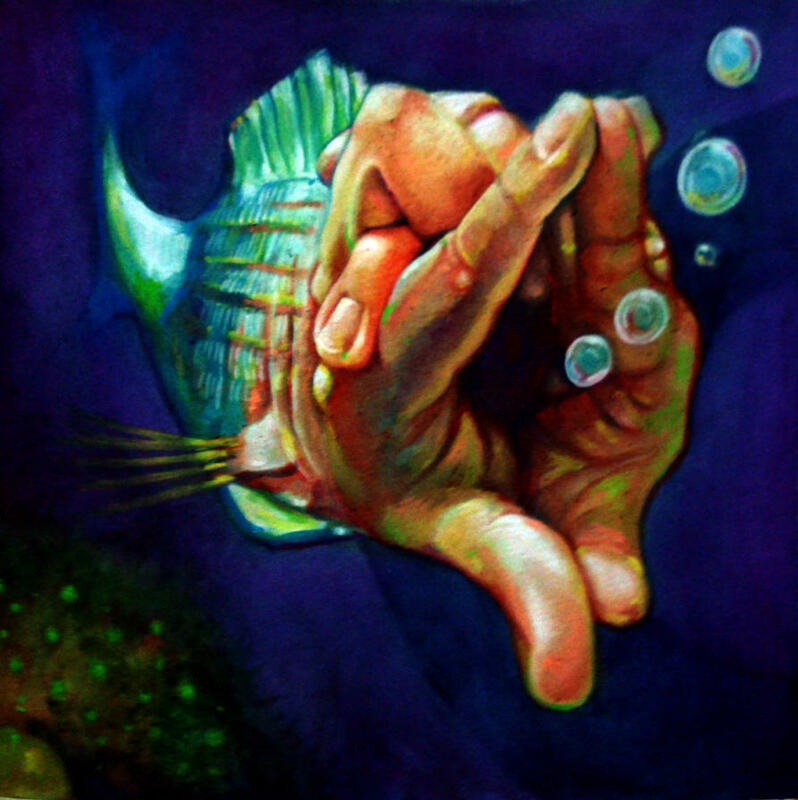 Hand gestures grew out of fish brains - this may sound silly at first sight, but this summer (2013) scientists have discovered that talking with our hands may have its roots in fish. That’s right, fish. Andrew Bass, Cornell professor of neurobiology and behavior, describes in his research that the evolutionary origins of the link between speech and gesturing can be traced to a compartment in a fish’s brain. And that part of its brain, notes Bass, allows a fish to vocalize and gesture with its pectoral fins simultaneously.